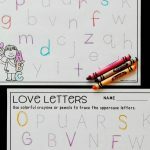 Having activities that kids love in the writing center, as morning work, or just as an extra go-to option is always a great thing to have prepared. 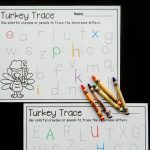 Since our Back to School letter tracing printables were a hit, we decided to continue the trend and have some colorful fun in the fall, too! 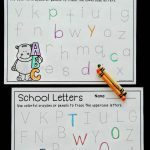 I love activities that let my students explore letters while having fun, and activities that give them a good amount of choice too. 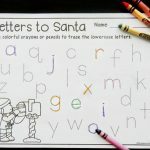 It may not seem like one sheet of paper can provide this, but when my kids hear the words “rainbow writing,” that usually gets them pretty excited! We use crayons a lot in the classroom, but we also have a ton of other coloring utensils that we use during word work. Some of our favorites are colored pencils, skinny markers, and pipsqueak markers. 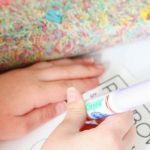 I love these markers because they are short and easy for their hands to control as they develop fine motor skills. 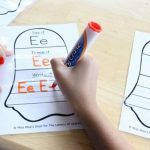 If we are using our letter tracing printables in a word work center, they grab a page, grab their colors, and set to work on tracing their letters! 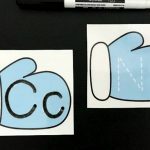 You can keep it as simple as this and let them just trace (which I often do early in the year) or you can have them do activities such as first cover the letters with an alphabet bead or magnet and turn it into an alphabet match center before they trace. 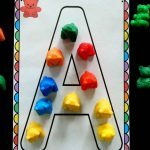 There is no right or wrong way to use the printables – use them however you want to help your students practice their ABC’s! 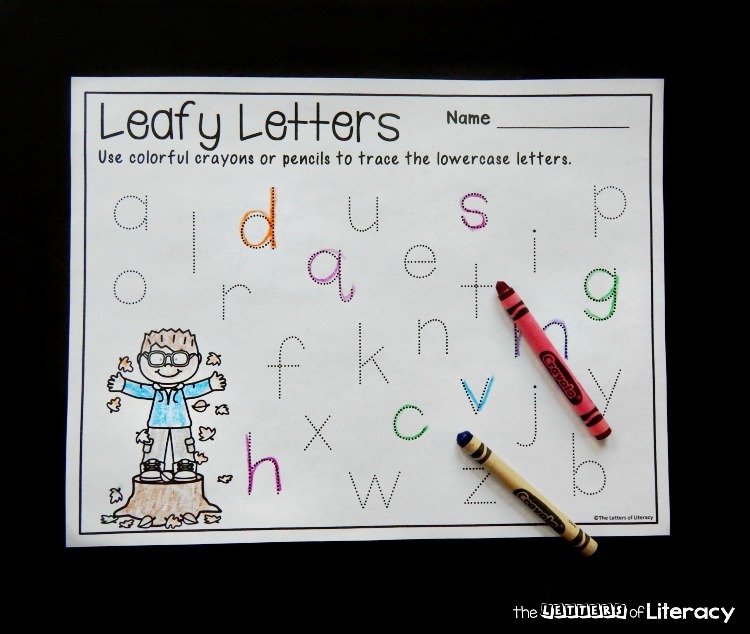 Ready for some colorful letter tracing fun? 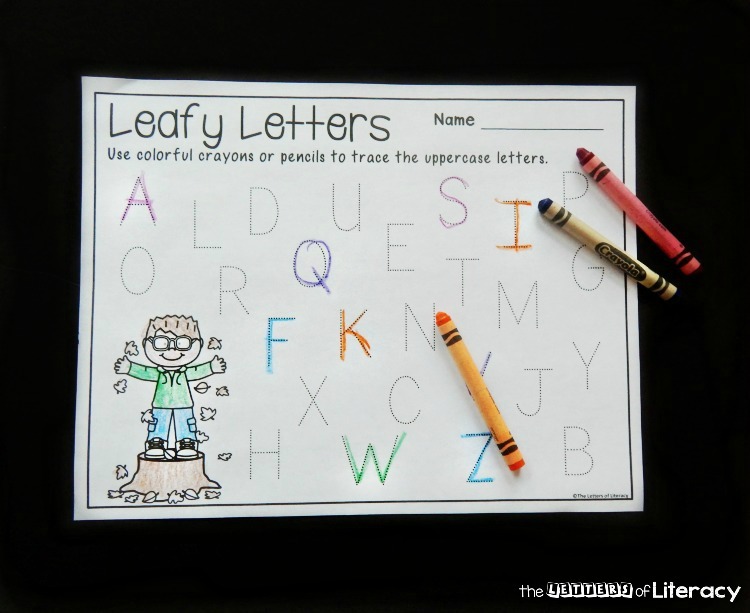 Grab your copy of the fall letter tracing printables by clicking the blue button at the very end of this post. 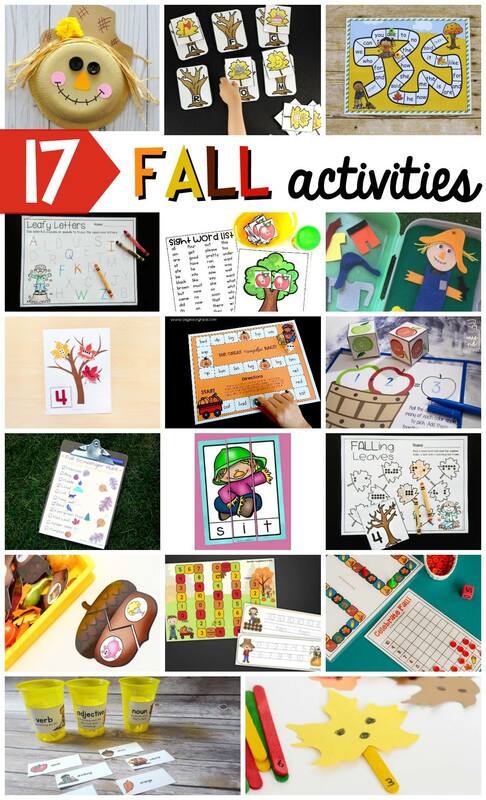 Then, for tons of ready to go literacy fun for fall, hop over and grab our print and play fall math and literacy centers! 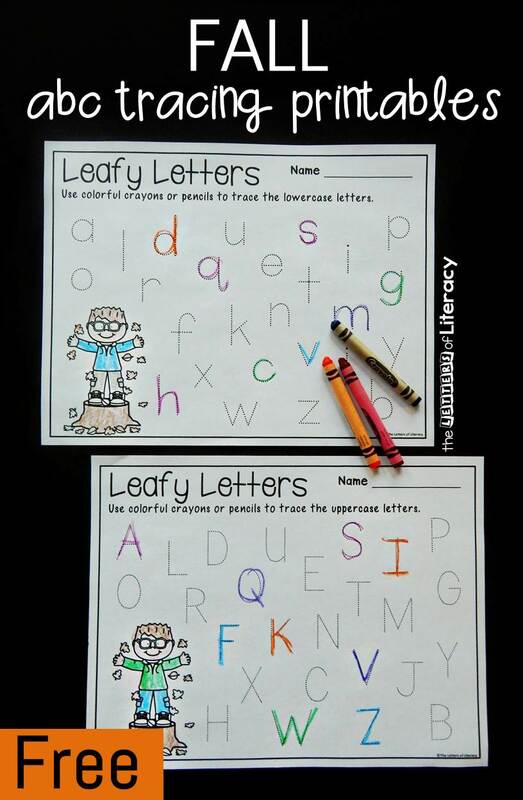 Looking for fantastic fall ideas that your kids will love? Check out these fun and free activities from some of my favorite kid’s activities bloggers!